Everything The O.C. : Behind the Scenes: Marissa's Lifeguard Tower Set! Here is a very rare behind the scenes photo of the famous S-49 lifeguard tower! You know the place where Marissa spent a lot of time contemplating the many stresses of teen life! 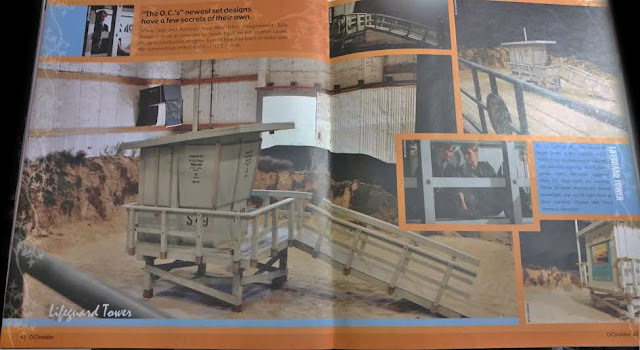 This set was built to replicate the real S-49 lifeguard tower located on Dockweiler Beach as seen above. Right behind the LAX airport. Google map link here! The real lifeguard tower is very similar to the replica. 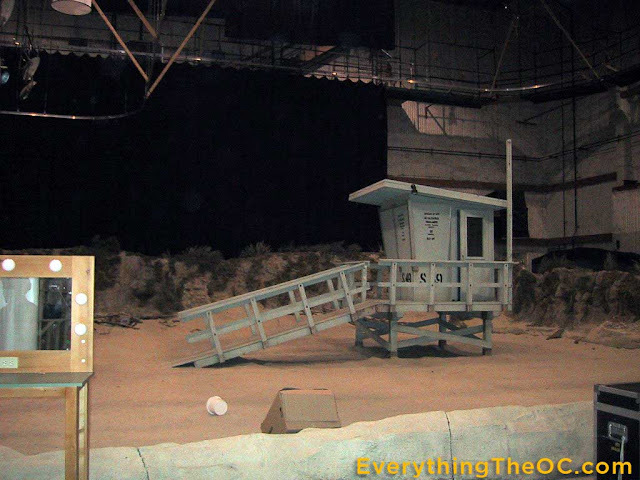 The replica set was built inside Manhattan Beach Studios (the same place where the Cohen house set was). The set came complete with fake hills, plants, shrubs, background lighting and lots and lots of sand! Clearly this set was only used for night scenes. 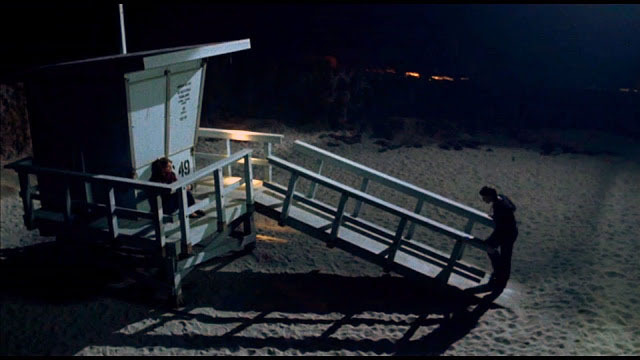 Many lifeguard towers were seen in passing during the series. 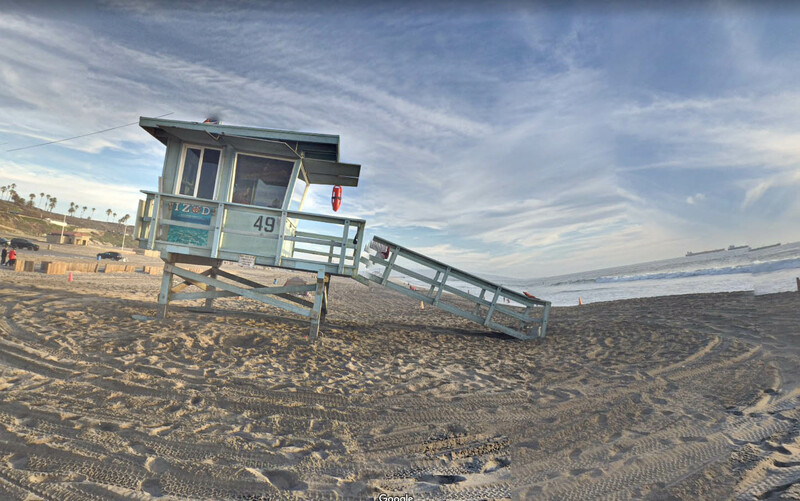 Here is a shot of a different lifeguard tower at Hermosa Beach in season 1 episode 9 "The Heights". Generally sets are created when the show creators realize that a certain location will be used a bunch of times, making it much more cost effective than shooting at the actual locations. Not only can they film whenever they want in a studio but they can also control nearly every aspect of the scene (which is not the case when shooting on location). They sure had us fooled! Were you fooled? Regardless we thought this was pretty cool and the set designers did a heck of a good job on it! What else is housed inside the beach set you ask? Stay tuned!